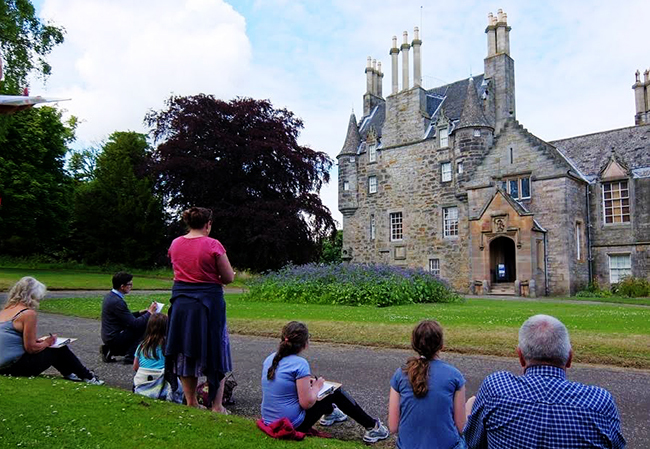 Listings of my upcoming sketching workshops in Scotland. No prior knowledge is needed for my relaxed and friendly workshops, I provide all the materials and you will create a number of sketches out on location before adding detail and watercolour whilst discussing your pieces over refreshments, before leaving with a unique piece of art and souvenir you created yourself. 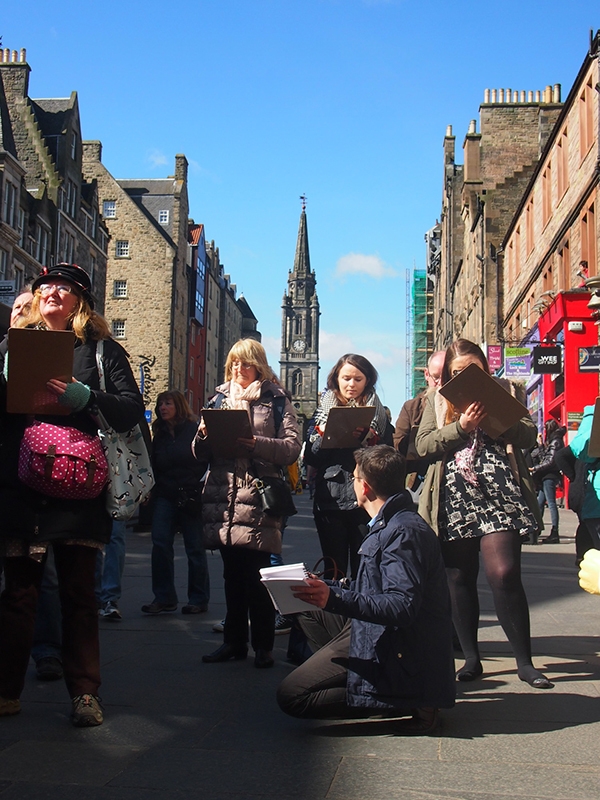 A sketching tour of Lawnmarket landmarks, offering gentle expert tuition and guidance for all ages and abilities. The tour will also offer historical insight along the way, with materials and a hot lunch also included in the ticket. 10am – 5pm, £95 per adult which includes all materials, lunch and refreshments throughout the day. Join local bookbinder Cass Barron to create your own A6 (landscape) leather, or pleather, covered sketchbook, complete with decorative exposed stitching and a nifty fastening to store your pens and pencils. 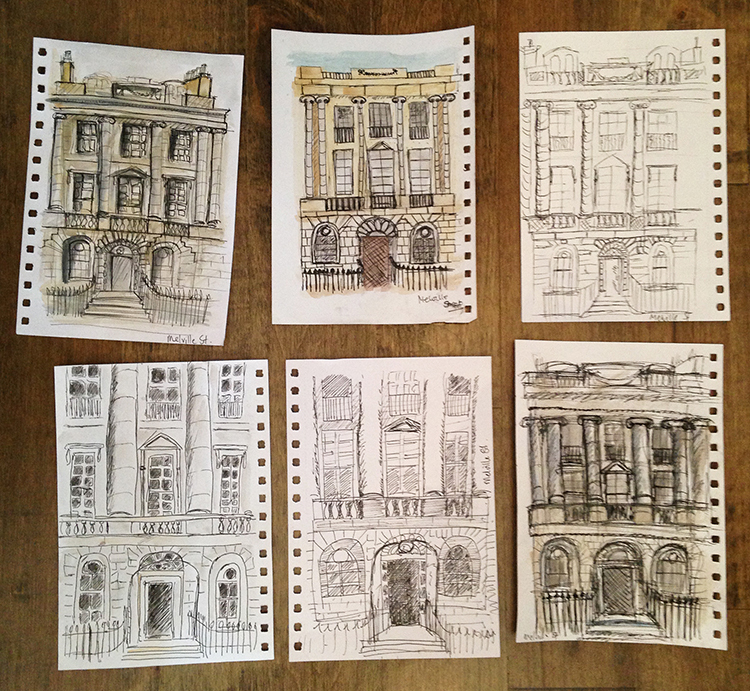 Then after a well deserved lunch break, I will take you and your newly bound book on to the streets for a sketching tour, where you’ll learn some tricks of the trade and get some gentle encouragement to fill those blank pages. On colder days, sketching will be mainly indoors at the stunning Scottish Portrait Gallery. 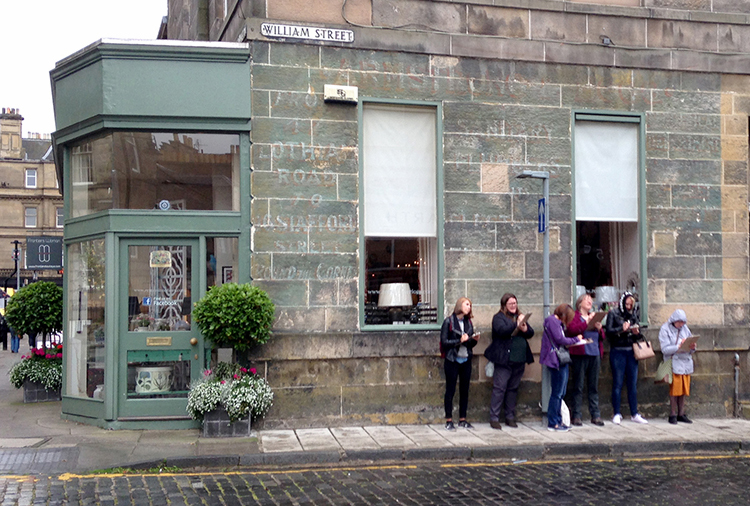 The Arienas Collective is a creative workshop hub based in a beautiful, Georgian mews home in Edinburgh’s historic New Town. The Collective was set up to help local artists and makers earn a living through sharing their creative skills and passions with others. They believe that engaging in creative activity is good for both health and wellbeing. This workshop is kept to ten or less people to ensure a one to one learning experience for all. It is a great opportunity to let your creativity flow in a supportive environment, learn a range of skills and leave with a personalised sketchbook. 2pm – 5pm, £45 per adult which includes all materials, and refreshments. 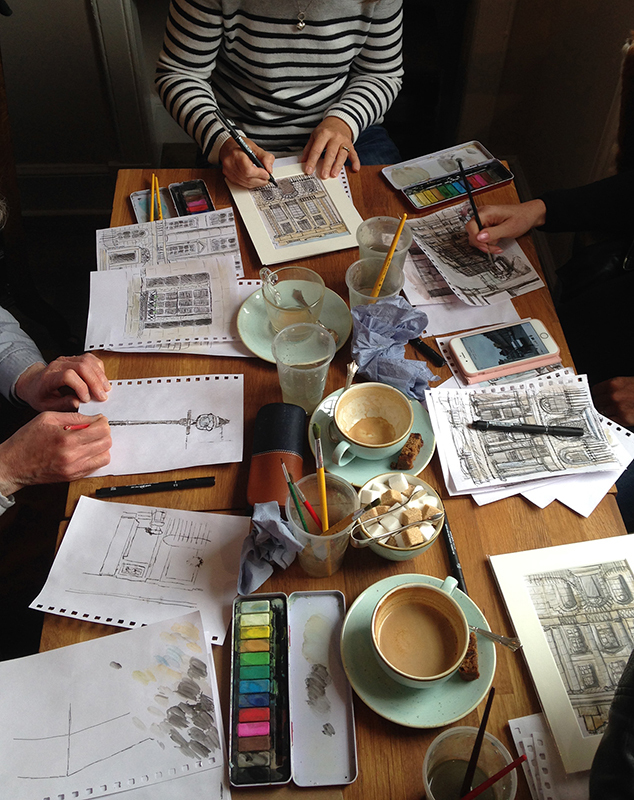 This 3 hour sketching tour through the New Town we will join up with bookmakers from the above full day. You will learn some speed sketching tricks of the trade and get some gentle encouragement to fill those blank pages. On colder days, sketching will be mainly indoors at the stunning Scottish Portrait Gallery. This workshop is kept to ten or less people to ensure a one to one learning experience for all. 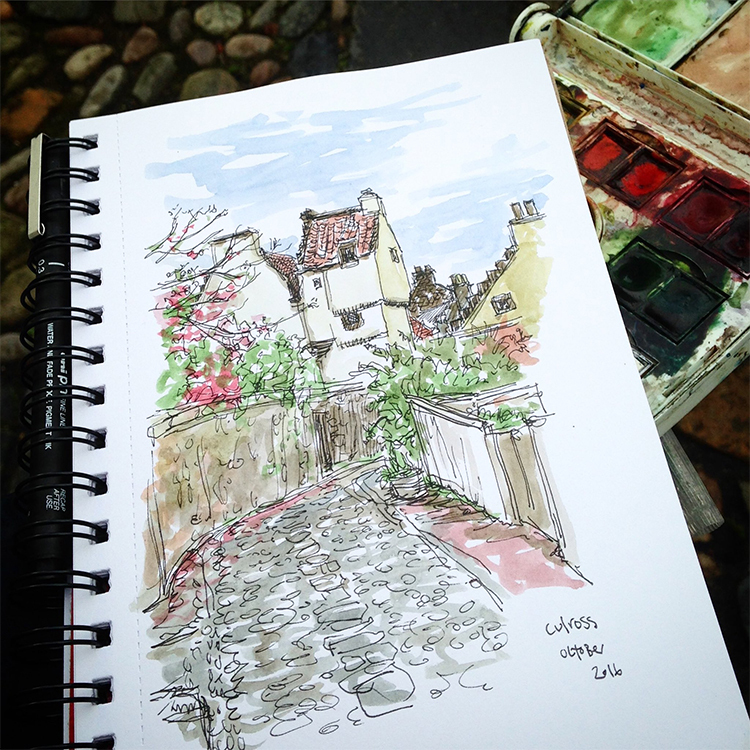 It is a great opportunity to improve your ability to quickly capture your view in ink and watercolour. These are simple drop in and have a go days at various locations around Scotland. 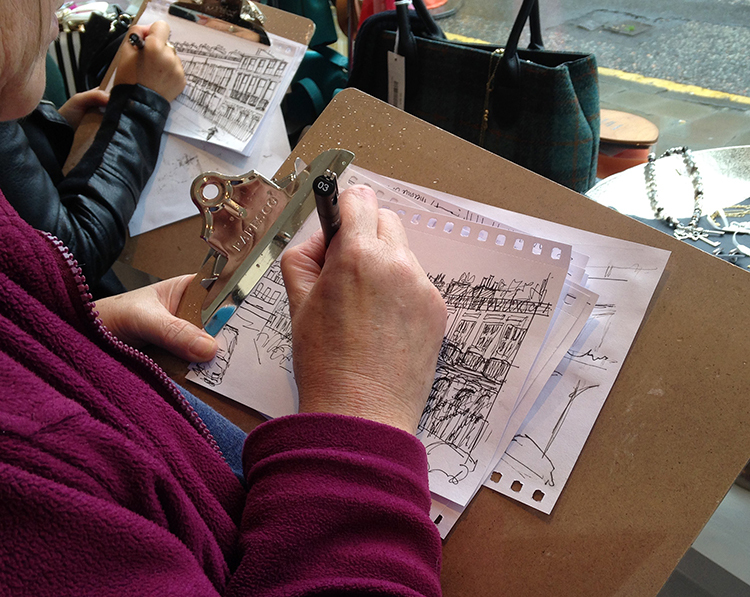 Come and visit the centre and have a go at sketching the surroundings. Materials and encouragement will be provided for all abilities. Engine Shed, Stirling. More dates coming soon! 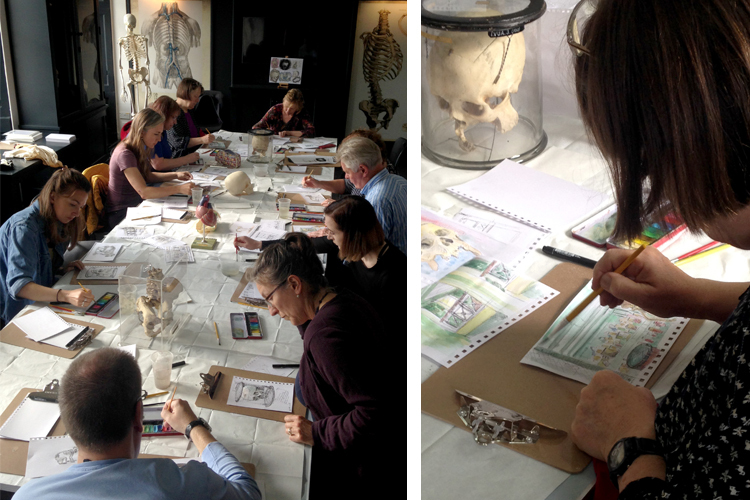 A free drop in morning session plus bookable 45 minute sketching sessions in the afternoon. The Engine Shed is Scotland’s dedicated building conservation centre, run by Historic Environment Scotland, it serves as a central hub for building and conservation and has lots of hands on activities for all ages. All materials to have a go at sketching will be provided.